As a blond American boy, Bobby already stood out in rural Japan, even before he got trapped in a sinister amusement park of body horror. Even if it were called Cronenberg Gardens, it still wouldn’t give fair warning of the heinous crimes against nature that happen there. There will be a lot of mutated kids in Ujicha’s unbelievably weird cut-out “geki-mation” animated feature Violence Voyager (trailer here), which screens during the 2018 Japan Cuts Festival of New Japanese Film. Bobby and his pal Akkun want to visit a former schoolmate who moved to the other side of the mountain, so they head off along a sketchy trail, despite the warnings of responsible adults, like the hermit, Old Man Lucky-Monkey. Alas, they take a fateful detour when they start following the faded signs for the mysterious amusement park, Violence Voyager. Although the park looks abandoned, it is still functioning and the proprietor will even let them in for free. Initially, they enjoy the role-playing adventure of fighting mutant cyborgs until it gets totally and painfully real. Soon, they connect with other young survivors, some of whom have been badly disfigured by the robot monsters’ noxious secretions. Eventually they learn (the hard way) the real purpose of the park is to either use them as food or convert them into more distorted cyborg creatures. There are probably more dead or deformed children in VV than any other animated film in the history of recorded civilization, but as the old saying goes: “you can’t make an omelet, without breaking a few twelve-year-olds.” In fact, Ujicha gleefully revels in gore, bad taste, and disregard for propriety. It is so over the top, you cannot take it too seriously. Yet, there is something about the Violence Voyager park that hits us on an archetypal meadow, like it could be nestled in the Hudson Valley of one of Washington Irving’s tales, albeit one that was warmed up in Hell and drizzled with viscous bodily fluids. Regardless of taste, you have to give Ujicha credit for being the contemporary master of geki-mation—a form of cut-out animation that also utilizes zooms and pan-and-scans for effect, as well as some highly practical effects, like blood and slime. He is sort of like Lotte Reiniger crossed with Tom Six. It sounds crazy, because it is, but there is still something indescribably unsettling about his figures. 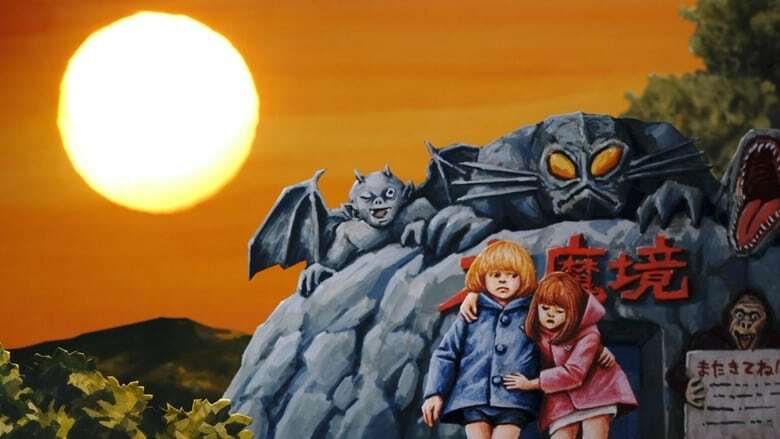 Pound for pound, Ujicha’s previous film, Burning Buddha Man was probably more bizarre, but VV will burrow deeper under viewers’ skin, because it is a lot like seeing the kids from Stranger Things get deposited into the Cabin Fever franchise. It’s not for everyone. Frankly, it is the sort of film that separates real cult cineastes from the pretenders. However, if you want to see something truly deranged, it is all that and then some. 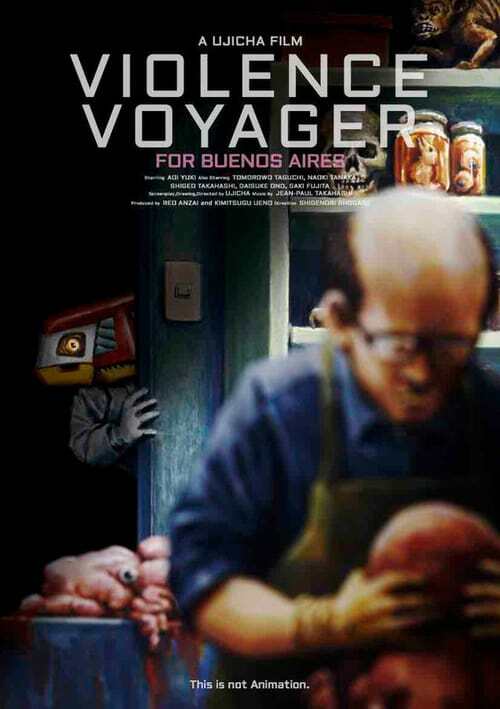 Recommended accordingly, Violence Voyager screens Friday night (7/20) at the Japan Society, as part of this year’s Japan Cuts.